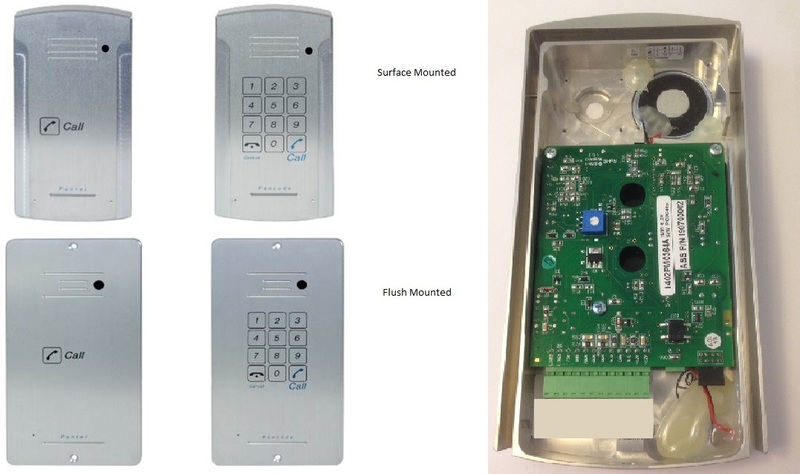 Pantel Aluminium SURFACE mounted door access unit (SINGLE CALL BUTTON) allows for Visitors to speak to internal extensions and for staff receiving the call from the Visitor to choose to release the door lock by entering a pin number into their telephone keypad. With a hands free intercom, the Pantel one-button is simple to operate and program. It can be opened from any extension and has programmable day and night destinations.